please provide the detailed information. The international shipping process starts with requesting a Free Shipping Quote from our company. Please, provide the required information so we can calculate the cost to ship your vehicle or other cargo from USA to Overseas. After the quote is received and it fits your budget – we can proceed to finalizing the booking and making the initial arrangements. At this time we will confirm that you have all required shipping documents to make sure that your shipment clears with US Customs. After the export declaration is filed, we will make the reservation with the vessel operator and prepare the port delivery documents. After the vehicle is delivered to the warehouse or the port, it will pass the inspection and will be loaded on the first available vessel. The shipping documents and tracking information will be available after the vehicle's departure from the port in USA. Upon the arrival to the final destination overseas – our agents will help with the import clearance and delivery. makes the international shipping process much easier. Having the right documentation from the start will save a lot of headache later. 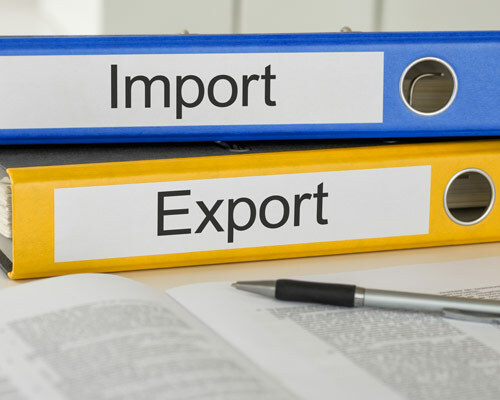 International Shipping Services is here to guide you through the whole overseas shipping process and provide the advice and samples of the requires import / export documents. If you're shipping any kind of vehicle from USA to Overseas (be it a car, truck, motorhome, trailer, boat, bus, machinery or equipment) you'll need to have a title or a notarized bill of sale as the proof of the ownership transfer. Different states in USA have different requirements for the titling procedures of the vehicles – and we can help you to sort through all required paperwork. Bill of sale, Certificate of origin, Consular invoice, NCB inspection, Import permit, Letter of credit – we can handle them all and save you time and money. Each country has the specific rules regarding the import documents so you will need to be prepared to comply with the requirements of the Customs office in your country. Our network of agents will make it very easy for you. My company sells vehicles, both new and used. Several of our best sellers need shipped from our home office in the United States. Our cars and trucks arrived on schedule without a single issue. I.S.S. offered me a great deal to ship several vehicles and I have used the company for all of my shipping needs since. I would recommend I.S.S. to any individual or company that needed large products shipped quickly and safely. I was staying in Europe for the summer and wanted my boat shipped from the states to our summer home. My boat is customized and one of my prized possessions. I.S.S. actually custom built a cradle for my boat and delivered my boat to where it needed to be. The provided me the 3 different shipping options and explained the pro's and con's of each. I will trust I.S.S. every year as we return to Europe each summer. I have to need to look for anybody else. One of my biggest market areas is Italy simply because I own a company that sells recreational vehicles. Shipping these huge RV's can sometimes be problematic, but not since I have discovered I.S.S. and their services. This company has made shipping simple and my sales have increased because of their professional service and reliability. I will use and recommend I.S.S. to anyone with international shipping needs.